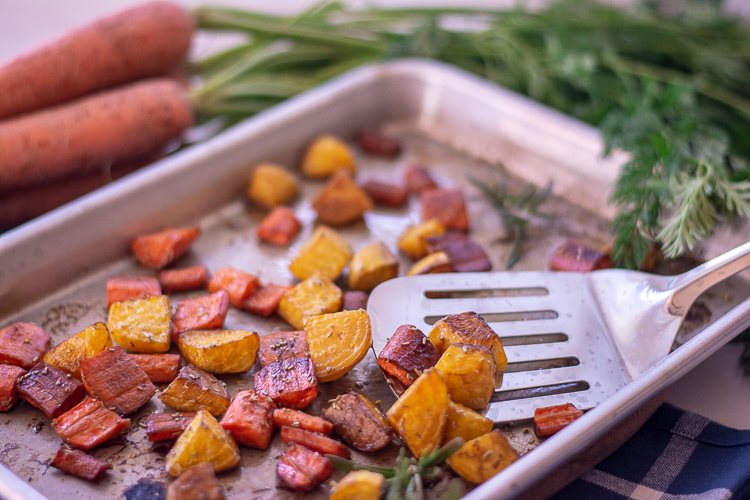 Let’s chat about this Roasted Carrots and Beets Recipe!! While visiting a local Trader Joe’s last weekend, we passed by a bag of the most gorgeous multi colored carrots for only $1.89. I seriously would love to know how they do it. Fresh, varied produce at such an affordable price wins me over every time! This is almost the easiest side dish you will ever make. It tastes like you stopped at a famous restaurant and picked it up – just to impress your friends. 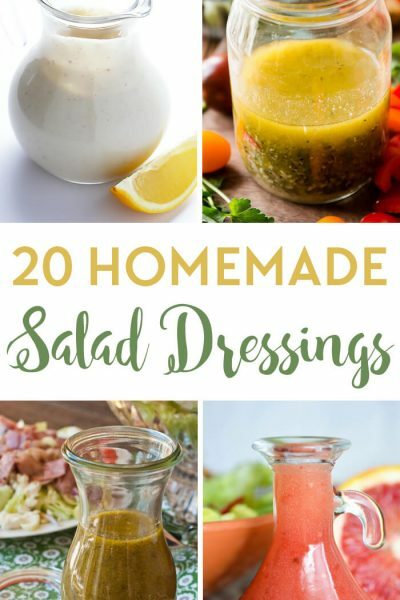 It is seriously so good that you will want to use this technique with other vegetables as well. We tried several (including grilling the vegetables using the same ingredients) and they come out beautifully. This is the recipe you will keep in your back pocket for special occasions, dinner parties or your weekly lunch. 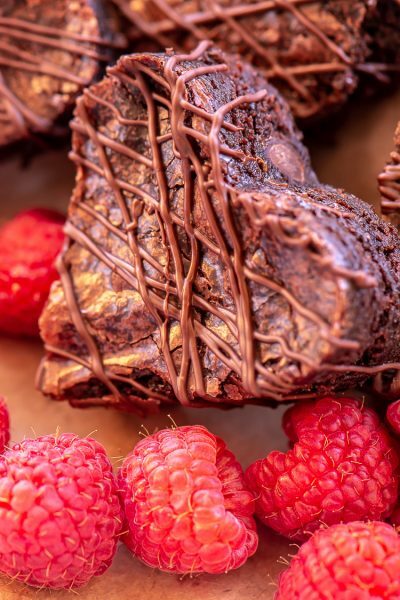 When it’s this good, you won’t be tempted to eat out! Preheat oven to 425 degrees. Mix the olive oil, balsamic vinegar, rosemary and sea salt together in a ziplock bag or bowl. I gravitate to using ziplock bags, but I know that if I’m not careful, the price can add up! 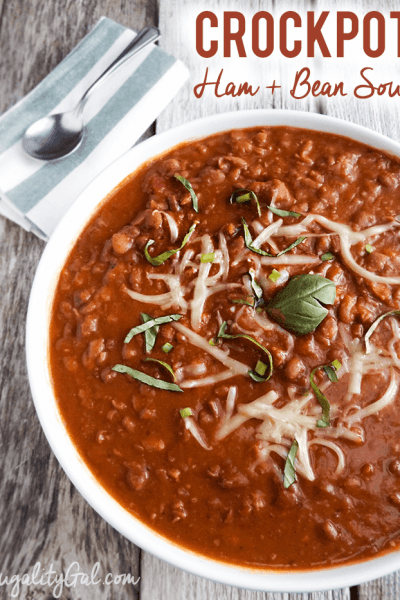 For better cost savings, use a bowl to mix the ingredients together. Peel the carrots (or if you like, leave the peels on for extra nutrients!) and toss with the olive oil/balsamic mixture. Spread them out on a sheet pan. Place in the oven for 20 minutes. Check on them half way through and toss if the bottoms are starting to turn brown. 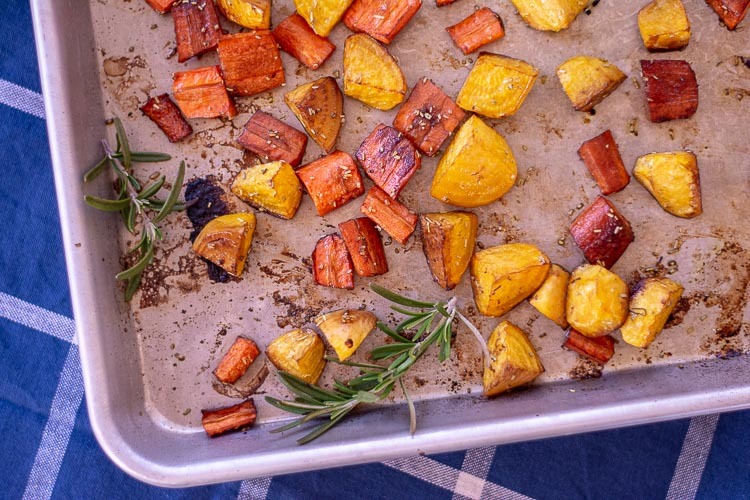 What are the Benefits of Roasting Vegetables? 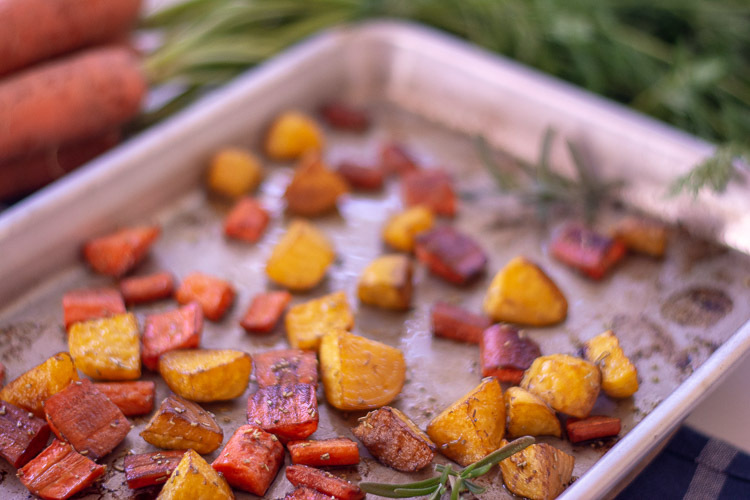 When you put vegetables in the oven to roast, they will caramelize. I don’t know about you, but I think that roasting them tastes a lot better than simply steaming them. They are also sweeter after being roasted! Anytime you get more vegetables in your system, the better. Roasting vegetables is a huge time saver! We all could use opportunities where we can get something else done! 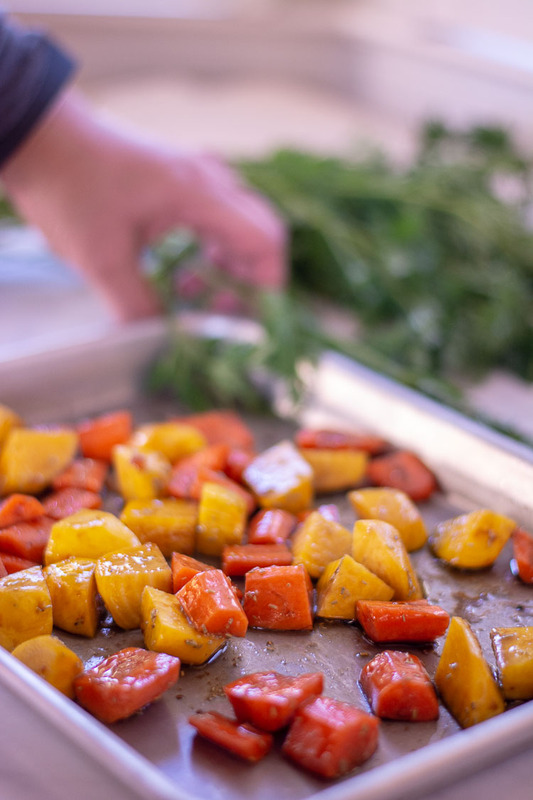 If you choose to dry roast the vegetables with no oil, you will bring down the caloric content of the dish a bit. You may lose a little bit of flavor, but once you try it a couple times, it is easy to get used to. Try cutting back on the oil a little at a time until you are roasting with no oil at all. Take a couple of weeks to work through this and you will be pleasantly surprised with the results! Of course, the oil also helps prevent sticking. Use Coarse Ground Sea Salt. The coarse grind’s large sized pieces really add flavor that is hard to replace! If you don’t have any, go for table salt, but only sprinkle on a little bit. You can always add more but you can never take it away! Use Baby Carrots if you can’t find the organic ones. Dry off the bagged carrots as they hold so much moisture that the olive oil/rosemary mixture will not stick to them well. Add Other Vegetables to Roast. This recipe works deliciously tossed with parsnips, rutabaga, turnips, potatoes, or any other root vegetable. Just make sure the pieces are cut equal size so they cook at the same pace. Add Golden Beets. We are used to cooking with the dark red beets, but it is fun to mix it up and add in some golden beets. I can’t taste the difference, but it adds a neat color variation for the presentation. 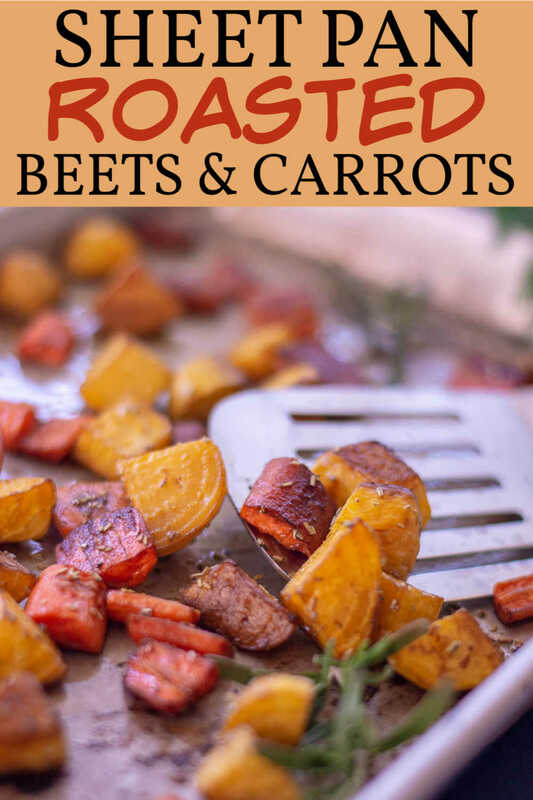 Sweet Balsamic Roasted Carrots and Beets – Toss the vegetables with 2 tablespoons of balsamic vinegar and 2 tablespoons of brown sugar or honey. This is a sweet, tangy flavor that goes so well with roasted vegetables. 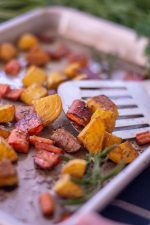 Citrus Balsamic Roasted Carrots and Beets -Toss the vegetables with 2 tbsp balsamic vinegar, 2 tbsp of brown sugar and 2 tbsp of orange or lemon juice. Add some zest to the mixture if you have some on hand. This produces a completely different flavor by adding just one additional ingredient. Honey Orange Roasted Carrots and Beets – Toss the vegetables with 2 tbsp of balsamic vinegar, 2 tbsp of honey and 2 tbs of orange juice. Herb Roasted Carrots and Beets – Toss the carrots with 2 tbsp of olive oil, 1 tbsp crushed garlic, 1 tbsp of herbs de provence. Let me know how you like this recipe, and pin it to your boards for future reference. 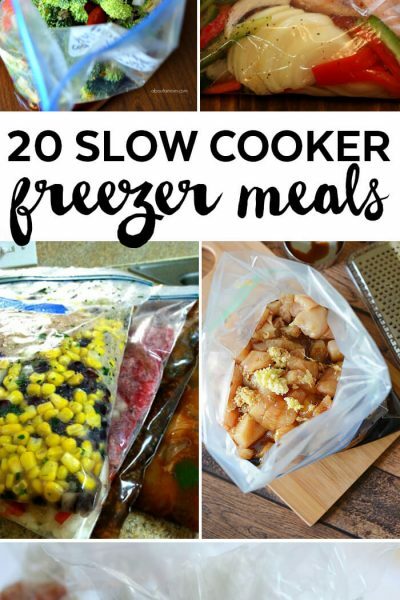 It is great for a fast evening meal. 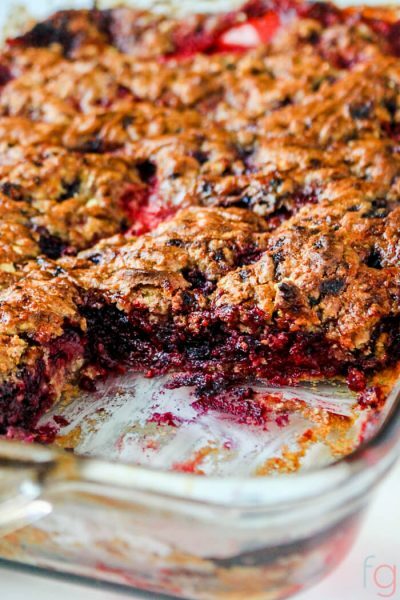 This super simple recipe makes for an unbelievably tasty and fun recipe. It is prepared in just minutes but tastes amazing! Combine the olive oil, balsamic vinegar, salt and rosemary in a small bowl and whisk together. Chop the beets and carrots if they aren’t already. Toss with the olive oil mixture and spread out not a sheet pan. Roast beets and carrots for 20 minutes. I prefer to check them 10-15 minutes in and gently toss them so that more than one side gets toasty. Serving size will depend on how big your beets and carrots are. This recipe was based on a beet that is the size of a generous apple and large carrots. That yielded us 4 generous servings.